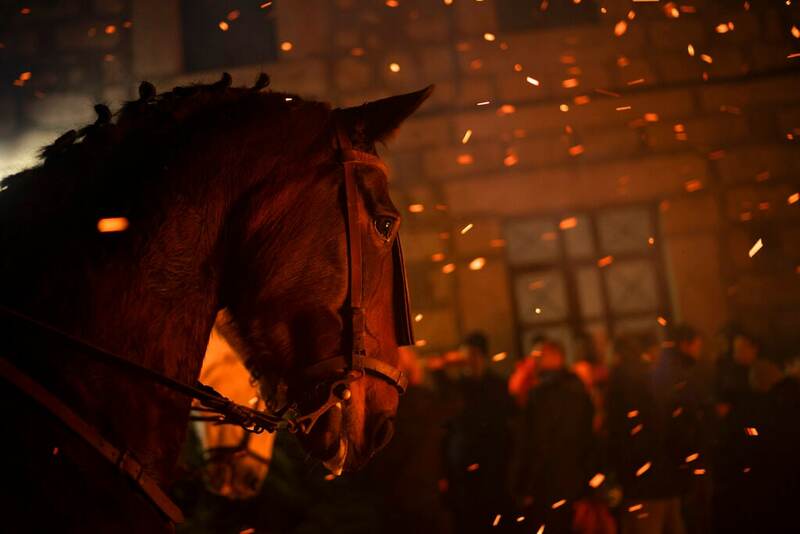 On the eve of Saint Anthony’s Day, dozens ride their horses through the narrow cobblestone streets of the small village of San Bartolome during the “Luminarias,” a tradition that dates back 500 years and is meant to purify the animals with the smoke of the bonfires and protect them for the year to come. In this Wednesday, Jan. 16, 2019 photo, sparks fly as a horse stands next to a bonfire during a ritual in honor of Saint Anthony the Abbot. 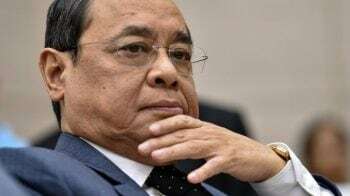 Wednesday, Jan. 16, 2019. 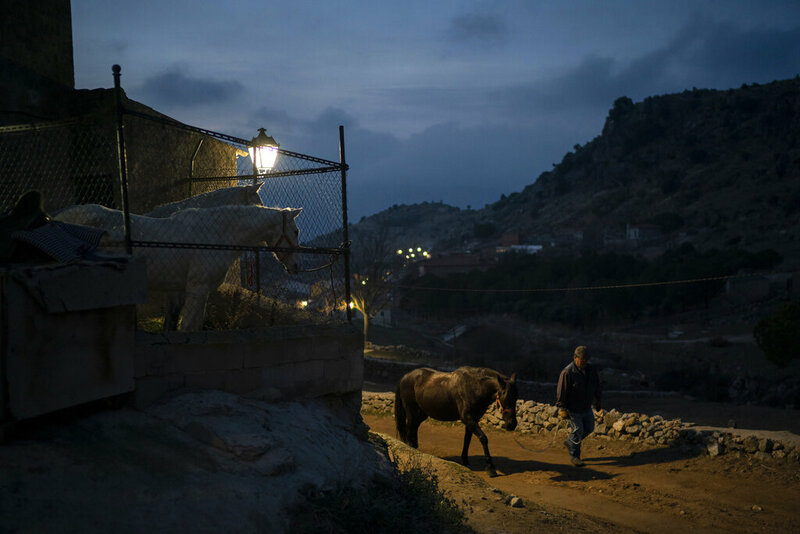 On the eve of Saint Anthony's Day, dozens ride their horses through the narrow cobblestone streets of the small village of San Bartolome during the "Luminarias," a tradition that dates back 500 years and is meant to purify the animals with the smoke of the bonfires and protect them for the year to come. 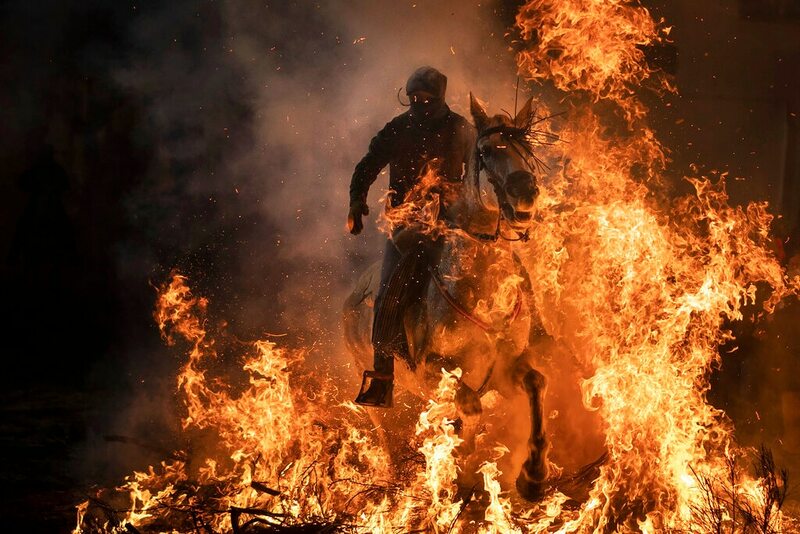 A man rides a horse through a bonfire as part of a ritual in honor of Saint Anthony the Abbot, the patron saint of domestic animals, in San Bartolome de Pinares, Spain, Wednesday, Jan. 16, 2019. 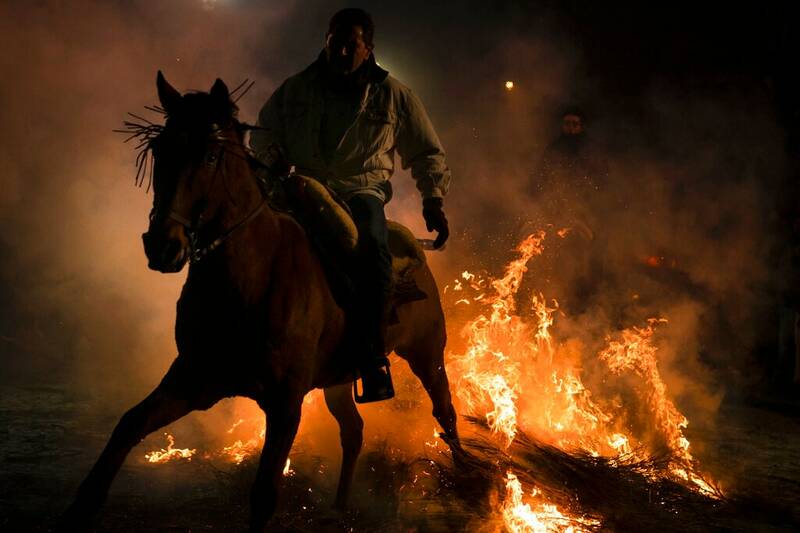 On the eve of Saint Anthony's Day, dozens ride their horses through the narrow cobblestone streets of the small village of San Bartolome during the "Luminarias," a tradition that dates back 500 years and is meant to purify the animals with the smoke of the bonfires and protect them for the year to come. A woman rides her horse amid smoke during a ritual in honor of Saint Anthony the Abbot, the patron saint of domestic animals, in San Bartolome de Pinares, Spain, Wednesday, Jan. 16, 2019. 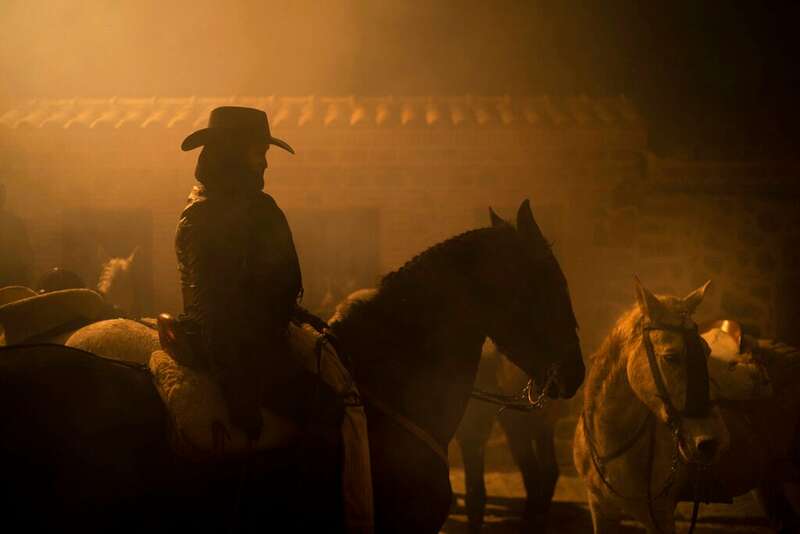 On the eve of Saint Anthony's Day, dozens ride their horses through the narrow cobblestone streets of the small village of San Bartolome during the "Luminarias," a tradition that dates back 500 years and is meant to purify the animals with the smoke of the bonfires and protect them for the year to come. 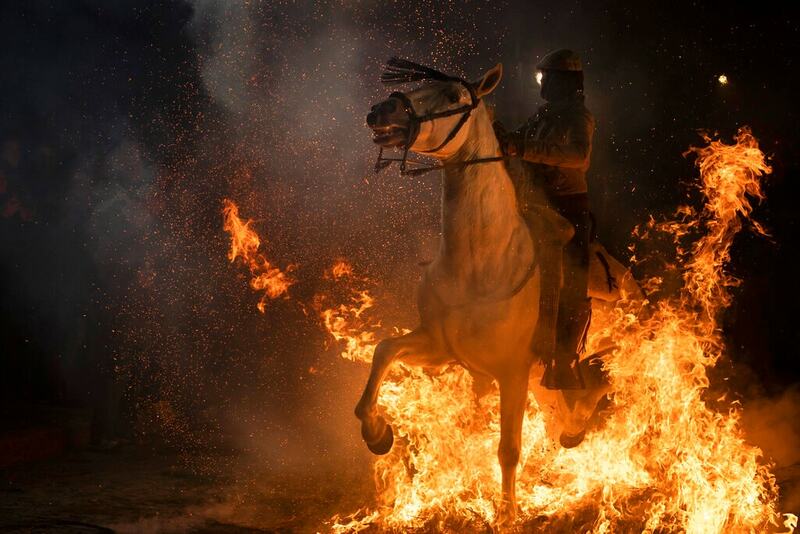 A woman rides a horse through a bonfire as part of a ritual in honor of Saint Anthony the Abbot, the patron saint of domestic animals, in San Bartolome de Pinares, Spain, Wednesday, Jan. 16, 2019. 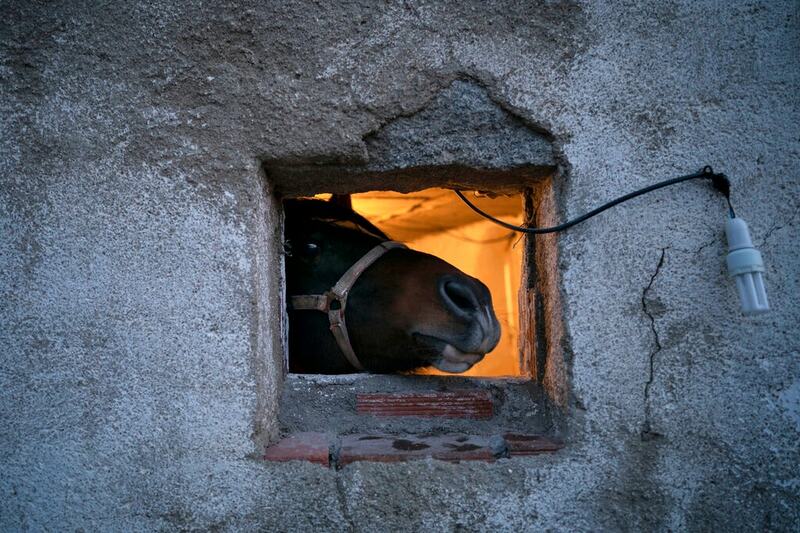 On the eve of Saint Anthony's Day, dozens ride their horses through the narrow cobblestone streets of the small village of San Bartolome during the "Luminarias," a tradition that dates back 500 years and is meant to purify the animals with the smoke of the bonfires and protect them for the year to come. 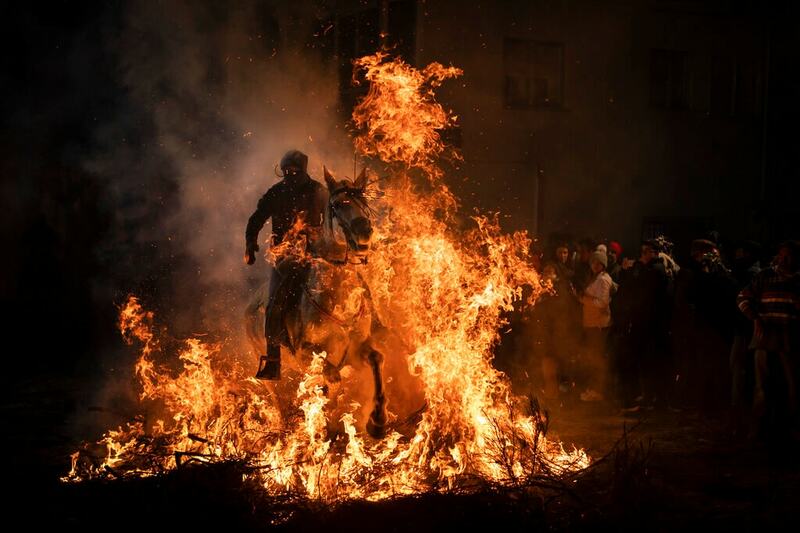 People ride their horses past a bonfire as part of a ritual in honor of Saint Anthony the Abbot, the patron saint of domestic animals, in San Bartolome de Pinares, Spain, Wednesday, Jan. 16, 2019. 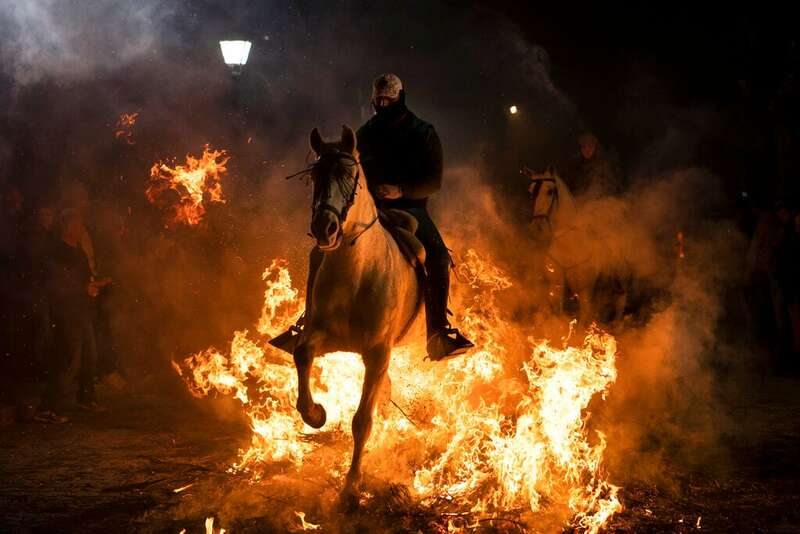 On the eve of Saint Anthony's Day, dozens ride their horses through the narrow cobblestone streets of the small village of San Bartolome during the "Luminarias," a tradition that dates back 500 years and is meant to purify the animals with the smoke of the bonfires and protect them for the year to come. 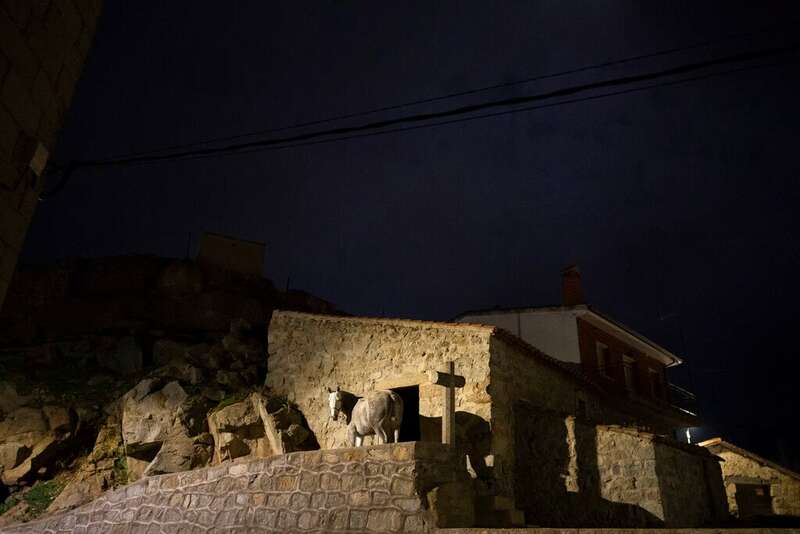 A horse stands next to a cross before the ritual in honor of Saint Anthony the Abbot, the patron saint of domestic animals, in San Bartolome de Pinares, Spain, Wednesday, Jan. 16, 2019. 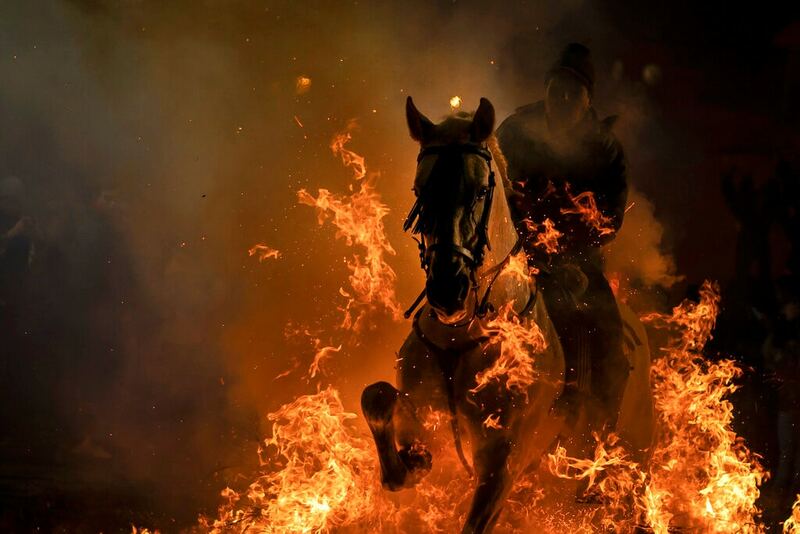 On the eve of Saint Anthony's Day, dozens ride their horses through the narrow cobblestone streets of the small village of San Bartolome during the "Luminarias," a tradition that dates back 500 years and is meant to purify the animals with the smoke of the bonfires and protect them for the year to come. 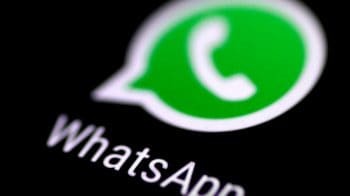 A man walks a horse before a ritual in honor of Saint Anthony the Abbot, the patron saint of domestic animals, in San Bartolome de Pinares, Spain, Wednesday, Jan. 16, 2019. 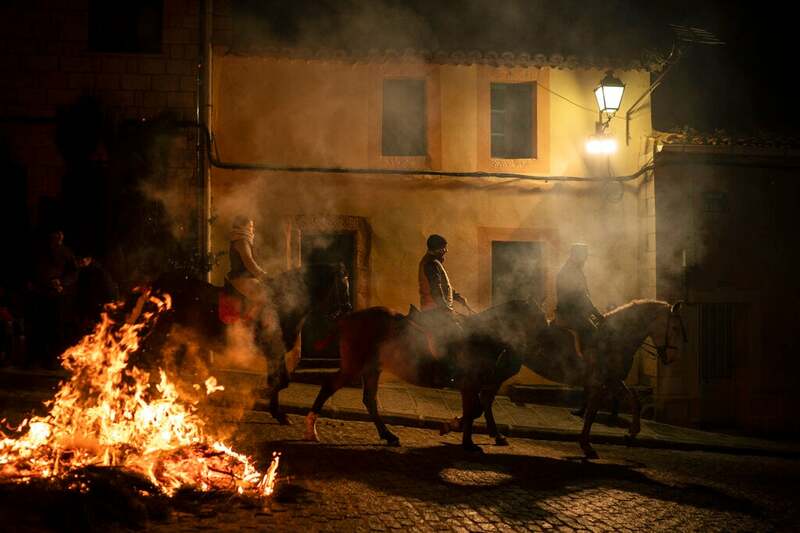 On the eve of Saint Anthony's Day, dozens ride their horses through the narrow cobblestone streets of the small village of San Bartolome during the "Luminarias," a tradition that dates back 500 years and is meant to purify the animals with the smoke of the bonfires and protect them for the year to come.